SAVE $29.99 on your order today! 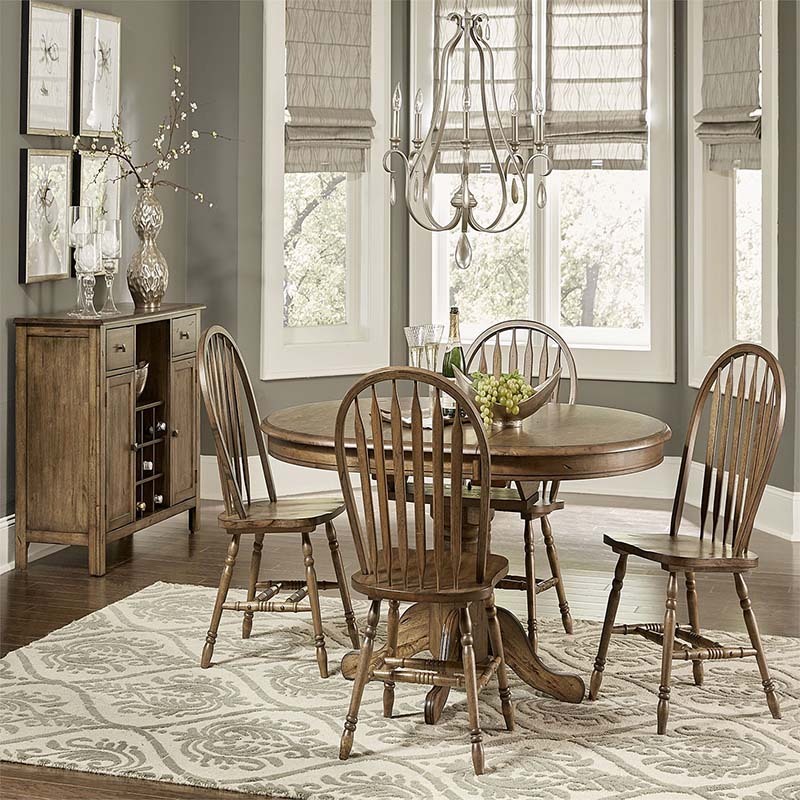 The antique honey finish on the 5-Piece Liberty Dining Set gives it the look and charm of a beloved family heirloom. A great match for smaller dining areas, this quaint, solid wood set includes an oval table, one 15" butterfly leaf and 4 chairs.